Jonel and I have been married a little over a year now. 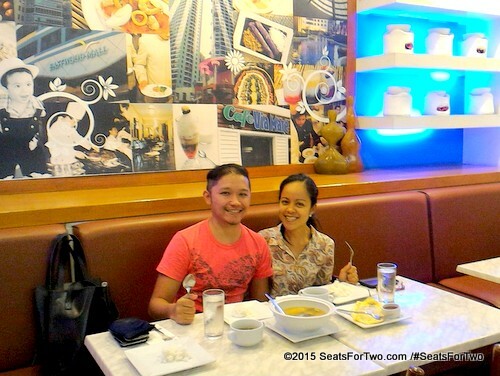 In fact, we just celebrated our first anniversary a month ago in Panglao, Bohol. 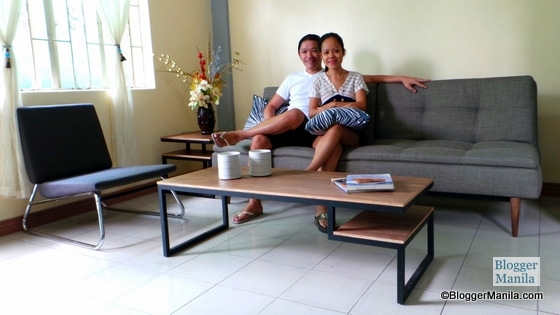 As a young couple filling our new home, we bought our first sofa set from a local shop early last year. 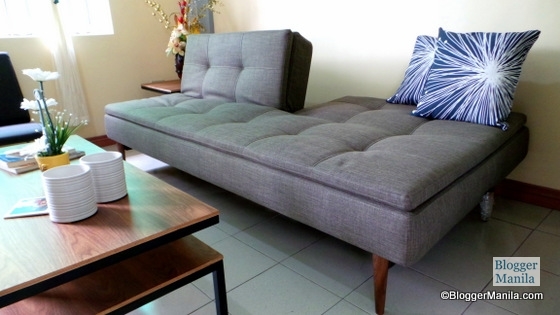 We got ourselves a classic – a narra-wood sofa. This year, we decided to give our living room a face lift. Fronting our sofa are two new low-rise wooden cabinets and a painting. We purchased them recently from SM’s Home World during a sale. 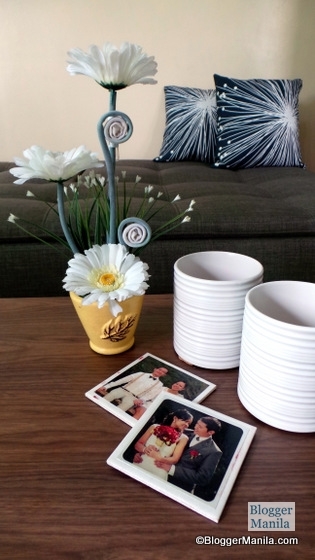 Next in our to -do list it to update our sofa set as well. Hubby and I discussed that this time, we’re going to try a classic but with a hint of modern design as he usually prefers. Of course quality is of prime factor but we are now conscious with the aesthetics as well. Under the Innovation Denmark brand, it’s called a Dublexo Sofabed in Olive Begum color, which is basically more like grey to me. 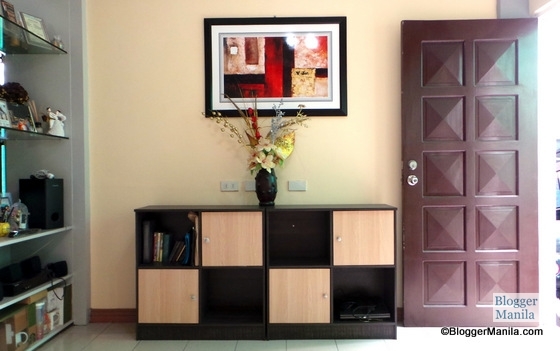 However, with a pricetag of P65,000 (US$1650), hubby needed a little more convincing. As a final decision breaker, we both agreed to request for a mock-up at our house a few days ago. 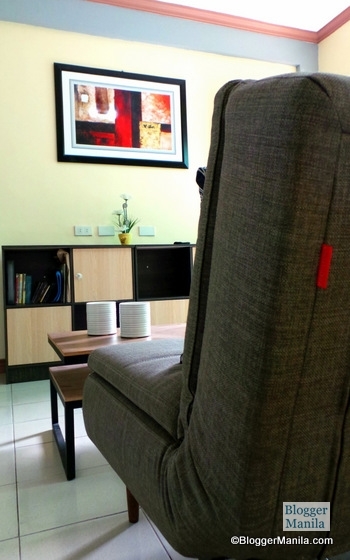 This is a service provided by Living Space Home Furnishings, the exclusive importers of Innovation Denmark sofa beds in the Philippines, for free. The day came and the delivery was made in the morning. 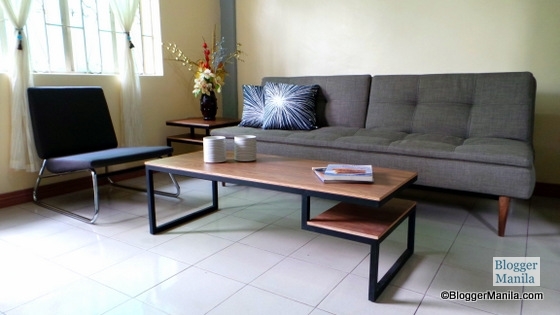 So they had to move our old narra sofa out and placed the new one. 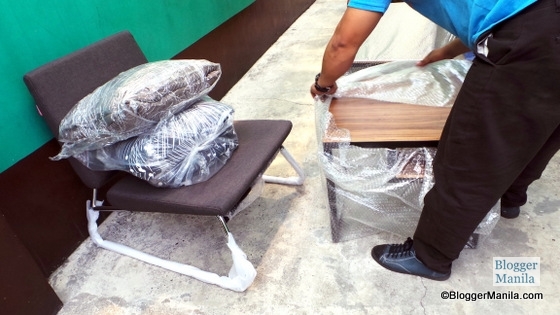 To help us in the mock-up, Living Space’s in-house interior designer brought furniture accents suited for the Dublexo sofabed. To our own surprise, we found the other furniture just as appealing. 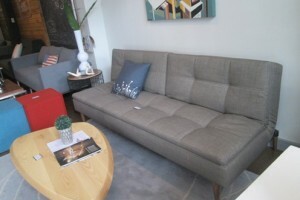 We are now also considering some of the furniture accents too! 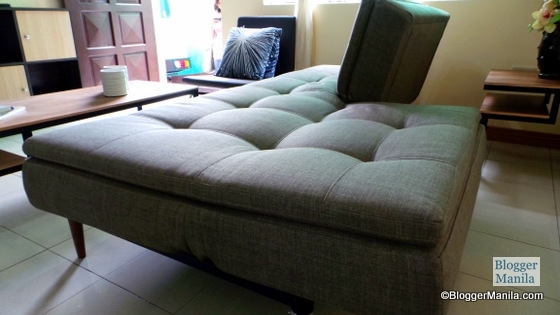 The concept of a a sofabed was also new to us. We were only looking for a new sofa at first. But when we saw Innovation Denmark as a bed and sofa in one, we didn’t mind having its multi-functionality into becoming a bed when needed. 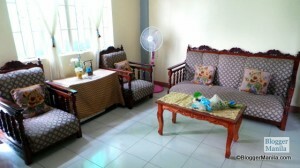 It can work like an extra-bed when we have sudden house-guests who wouldn’t mind spending the night at the living room. We are sure thankful that we had the mock-up. 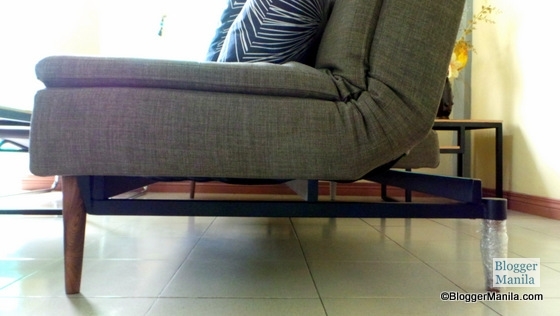 It helped us make sure that we really wanted the product and if it did fit the living room nice and well. 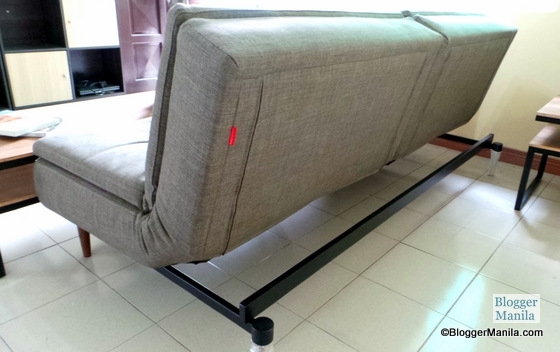 So I guess the next thing to do is actually buy the Innovation sofa bed. 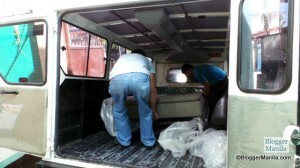 We intend to pass by Living Space‘s Designpod in Greenhills next week and make the actual purchase. 65K is no easy money so we’ll use a combination of my husband’s new Metrobank Prepaid-Card and his Citibank credit card on a monthly installment basis. Now, all we need is a Samsung Smart TV to really complete our living room. That might just come sooner than expected though. Stay tuned as well share with you our hunt for the perfect Smart TV that will also go well with the rest of our furniture. 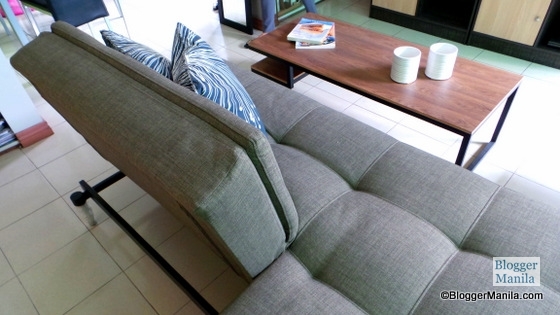 I love your new sofa Marj & Jonel! How much is the sofabed? 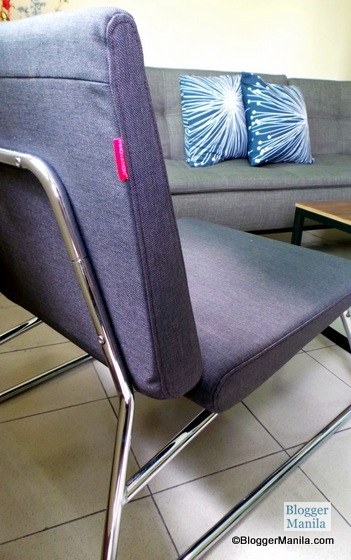 Pingback: Scandinavian Design Impresses on 2016 Philippine Furniture Trends?